First, to be clear on this one, I was wondering where Born Loose went after we (Satans Youth Minsters) played a show with these dudes close to 5 years ago in Brooklyn. Damn, Born Loose was sick. At the time, they had a cameraman shoot the show with lots of other photography going on. I was confused by this effort because it wasn’t exactly a well-attended show. It was at a venue (now closed) in an odd part of town and Stalkers was supposed to play until cancelling last minute. So, I was maybe under the mindset that maybe Born Loose was taking itself too seriously or maybe it was just an odd night. We had played a show with Ex-Humans the night before at St. Vitus. I was hung over? Still trying to figure it out? Anyway, here we are in the present, and we have a solid LP on our hands. Gotta give these dudes credit. The songwriting, production and presentation are all there, man. 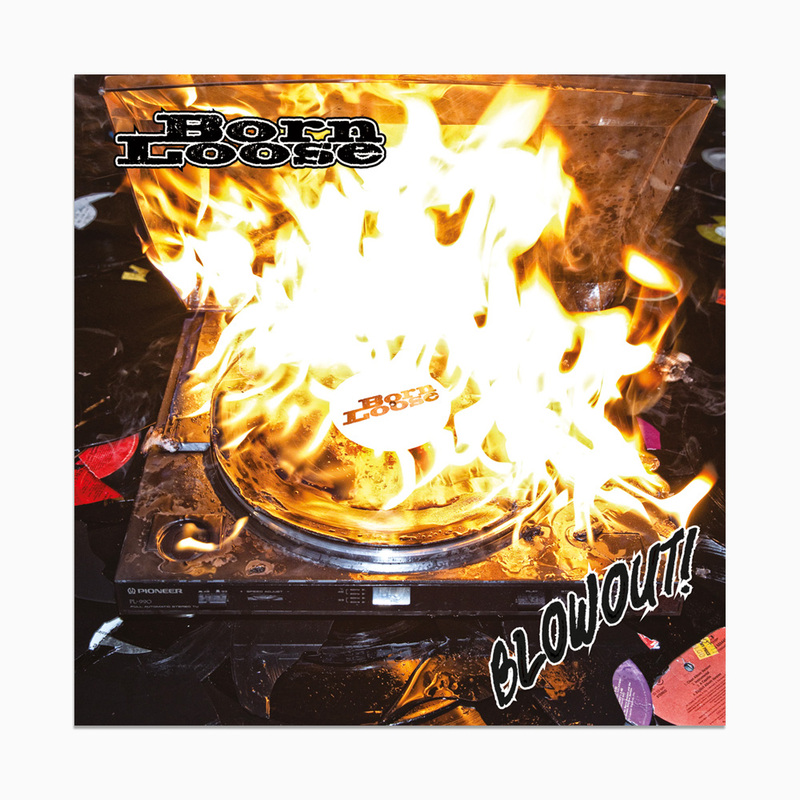 I will, for the record, state that it does remind me of 1990’s garage stuff, like The Hellacopters and New Bomb Turks; however, from top to bottom Blowout! is a no brainer. While I could go on and on, and in depth, about the little things that no one else notices, I won’t. There is some fine guitar work on this LP, though. The leads are on point. It sounds like they were doubled for maximum sound on the overall track, which is the way it should be. Born Loose isn’t like the cookie cutter garage stuff that’s flooded the scene in the last two years. Also, I should mention that these guys are kind of a super group. Do your homework on these guys and don’t forget to take notes. And, don’t forget to pick up a 6-pack too. Forget that and make it a case. Thanks for the review and link to the new song. I wasn’t aware there was a new record, so thanks to you, I ordered a copy from Hound Gawd! (along with the new Pat Todd and The Rank Outsiders LP).